With Father’s Day fast approaching, I’m sure a lot of you are thinking about what to get dad this year. While it’s easy to get him another gift like a tie or a shirt, why not try something new? Take your dad out on the town in Indianapolis and give him the gift of a great memory that he can cherish forever. 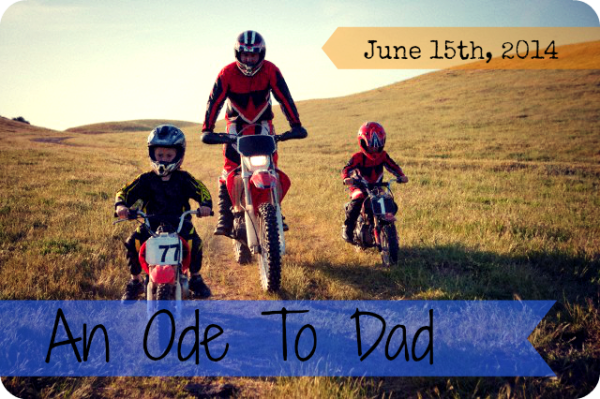 Here’s a list of some places and events you can take your dad this Father’s Day. Is your father a big baseball fan? The Indianapolis Indians usually sets up a Father’s Day package where you can enjoy watching the home team battle the Gwinnet Braves, receive commemorative freebies such as baseballs and bats as well as get a chance to play catch with your old man on Victory Field. It’s the best way to bring back the days when you were still a kid playing catch with him in the back yard. You can also check out the Father’s Day deal at the NCAA Hall of Champions. This national institution in Indianapolis provides a Father’s Day brunch and free admission into the museum, so you can revel in over 80 years of student athlete achievements. Don’t forget that Indianapolis is the home of “the greatest racing event in the world”, the Indy 500. If your father is an avid racing fan, you can bring him to the Indianapolis Motor Speedway and take him on a behind the scenes tour of the historic arena. He’ll sure to rave about this for weeks! One great way to bond with your dad is by being in the great outdoors. A fun idea would be a trip to one of the state parks like Fort Harrison State Park or the White River State Park. There are plenty of places to sit back and relax with numerous picnic and grilling spots throughout the park. There are also hiking trails, fishing spots and paddle-boating areas for great family bonding activities. Nothing beats a lazy Saturday afternoon fishing with your old man, trust me. If you’re looking for a more relaxing indoor activity, take your father to the Easely Winery for their “Grape to Glass” winery tour and experience the production of wine from the fruit to bottle. You can also go around the different museums to soak in a bit of culture. The Museum of Art is featuring ‘Julianne Swartz: How deep is your” while there is a photography exhibit in the Central Library on Father’s Day. You may also want to catch a show at the Buck Creek Playhouse. The theatre is scheduled to show ‘Carrie: The Musical’ on June 15th. Of course, they say that the way to a man’s heart is through his stomach, so why not treat your dad to a great steak dinner or an all you can eat buffet. There are plenty of places that offer Father’s Day deals which you can take advantage of such as Weber Grill or McCormick and Schmick’s. It is, after all, his special day. Dads, this father’s day, for all you put up with, for all your hard work, and everything in- between, we salute you!